Well, I for one, salute you for YOUR service. Excellent, Kent. 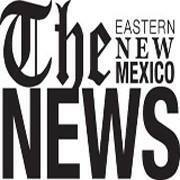 Funny that Eastern New Mexico News didn't run this, when ALL of your columns are feisty. This one might've hit too close to home, though. Something "funny" is going on with my columns there. They are no longer posting them to the website on the day they appear in the paper, but some (most?) of them are showing up days later. This one never did. I suspect the person whose job it is to post things to the website is shadow-banning me, or something similar (probably not a name for it yet). I may ask the editor what is going on, but sometimes that seems like kicking the hornet's nest.